Contact Mercedes-Benz of Scottsdale today for information on dozens of vehicles like this 2019 Mercedes-Benz CLS 450. This Mercedes-Benz includes: DESIGNO DIAMOND WHITE BRIGHT PRE-WIRING FOR RR SEAT ENT PREMIUM PACKAGE Keyless Start HD Radio Heated Front Seat(s) Satellite Radio Power Door Locks Keyless Entry MARSALA/ESPRESSO, LEATHER UPHOLSTERY Leather Seats HEATED FRONT SEATS Heated Front Seat(s) AMG LINE Floor Mats BLIND SPOT ASSIST Blind Spot Monitor PARKING ASSIST PACKAGE Automatic Parking Back-Up Camera BURMESTER SURROUND SOUND SYSTEM Premium Sound System *Note - For third party subscriptions or services, please contact the dealer for more information. * You deserve a vehicle designed for higher expectations. This Mercedes-Benz CLS delivers with a luxurious, well-appointed interior and world-class engineering. Intricately stitched leather and ergonomic design seats are among the details in which test drivers say that Mercedes-Benz CLS is in a league of its own Put away your phone and focus on the road, your new vehicle has navigation. 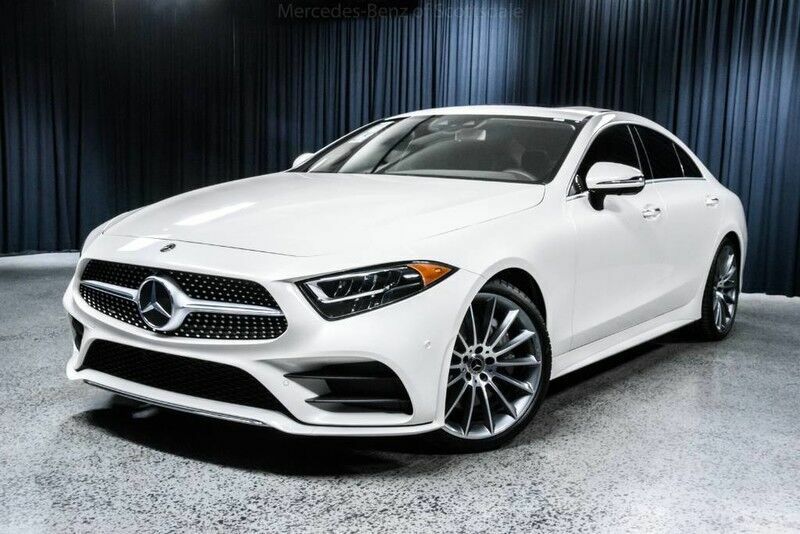 Contact Mercedes-Benz of Scottsdale today for information on dozens of vehicles like this 2019 Mercedes-Benz CLS CLS 450. You deserve a vehicle designed for higher expectations. This Mercedes-Benz CLS delivers with a luxurious, well-appointed interior and world-class engineering. Based on the superb condition of this vehicle, along with the options and color, this Mercedes-Benz CLS CLS 450 is sure to sell fast. You've found the one you've been looking for. Your dream car. Just what you've been looking for. With quality in mind, this vehicle is the perfect addition to take home.